This was our dinner tonight. 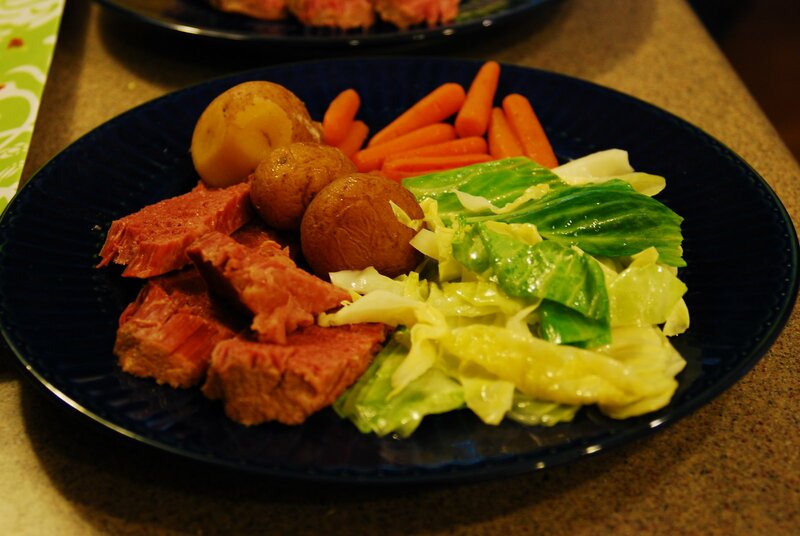 The traditional corned beef and cabbage. One of the easiest meals on the planet. Throw it all in a crockpot (except the cabbage). Add a few bay leaves, cover it with water and let it cook on low all day. Throw in the cabbage for the last 20 minutes or so, then serve it up. Easy and oh so tasty too. So, I’m bummed that when I wrote my St. Paddy’s Day post and tried to save it for a future date 3/17, it actually posted on the day I wrote it. If you haven’t seen it, please click here and you’ll find it. Sorry about that. Hope you had a wonderful day!